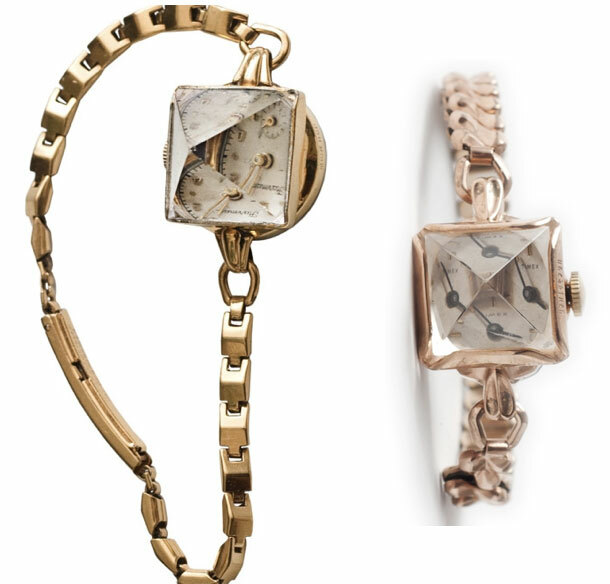 I spotted these beautiful watches in the February issue of Lucky, and have been obsessing ever since. These are by Unearthen (their entire site has some fantastically edgy pieces), and I particularly love that each piece is one of a kind – I think they start out as vintage specimens. As always, the rose gold is my favorite, but they’re all beautiful, and perfectly nail that pretty/edgy balance I’m always striving for. I love my menswear watch for everyday wear (it was actually my grandfather’s, so it gets bonus points for sentimentality), but this would make such a fantastic counterpoint, particularly for dressier days. If you love it too, you can score 35% off (taking it from $500 to $325) with code LUCKY7 (which I’ll probably get in trouble for telling you, but hey, it’s called good journalism, people). This entry was posted in accessories, jewelry and tagged lucky magazine, unearthen on 25 January, 2012 by shoppingsmycardio. multi-chain necklaces are huge this year, no question about it. and i admit, it’s one of the few spring looks i’m really loving – it’s kind of refreshing, actually, after all of the trend-bashing i’ve had to do this season. when you’re breaking out those sweet spring dresses and tanks, what better way to keep the cute and the preppy from getting out of control than by adding one of these necklaces. 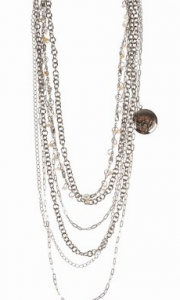 part rocker, part just good sense (layering jewelry is always ultra hip, and ultra hard to successfully accomplish), i’m dying to pair one of these multi-chains with everything from a tee to an evening dress…i love nothing more than a little versatility. I wanted to create something “tougher” and more substantial. For me, putting on one of these multi-layered pieces makes me feel like my look is complete. I love that these pieces can be worn in different ways, depending on your mood or what you’re wearing. You can wear them short and chunky, or, you can remove the pin, pull a strand (or two) behind your neck and wear them long and loose. In that long and loose position, you can pin the pin through the front so that the piece is in the shape of a men’s tie, with the chains cascading down the front. i can hardly wait to get my hands on one of these lovely pieces. at first glance, i was wholeheartedly in love with the version above on the left…but the more i hear her talk about how many ways there are to wear the other version, well, it makes the decision much harder. hmm…i may just have to have both. head to katharine’s website and view the “mary tea” collection to see all of the variations on this lovely theme. This entry was posted in jewelry and tagged katharine sise, lucky magazine on 27 March, 2009 by shoppingsmycardio. i’ve been in the market for a new cosmetic case for a while now – something slim and chic to throw in my purse on a daily basis. the one i have now is about 15 years old, no lie – it’s from coach, before they moved production to china and things went all to hell. the leather is so soft and so perfectly broken in, i just haven’t had the heart to retire it. well, that and the fact that am completely unwilling to splurge on the one i really want, since i know it’s going to take a daily beating. even my excessive spending has its limits. fortunately, i’ve finally found the perfect solution. this gorgeous metallic case from andrea brueckner boasts sinfully soft leather, classic styling and a very accommodating size (9″x5″). but it gets even better…use code lucky3, and you’ll get 25% off, taking it down to an impossible-to-pass-up $30 pricetag. but grab it quick – a code from lucky means it’ll be gone before you know it. 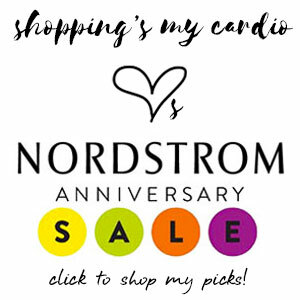 This entry was posted in accessories, coupons and discounts, deals and tagged andrea brueckner, bottega veneta, coach, lucky magazine on 27 August, 2008 by shoppingsmycardio.